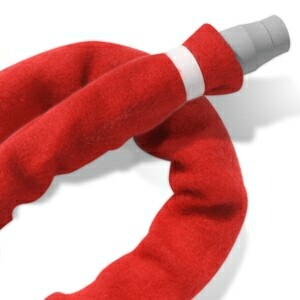 The headgear is designed to maintain a firm seal without the need for overtightening. 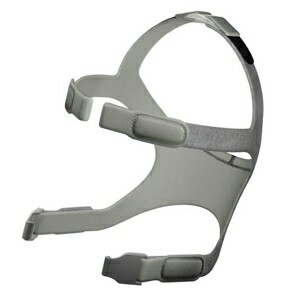 A Tri-Glide buckle is included to join the headgear's back straps behind the head. COMPATIBILITY: In 2016 Fisher & Paykel updated the Glider Straps on all FlexiFit 431, FlexiFit 432 and Forma CPAP Masks. 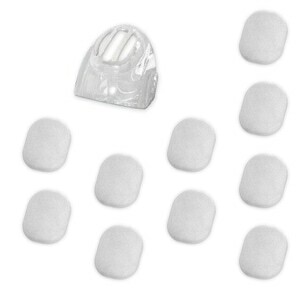 This headgear is only compatible with the newer Glider Strap (Part 400HC219) design which can be found on all currently shipping FlexiFit 431, FlexiFit 432 and Forma masks. Updated Glider Straps are also available for purchase elsewhere on this site. When buying a replacement strap for your cpap mask, make sure the strap clip (which secures and releases the strap from the mask) matches what you have. There are (at least) two version. 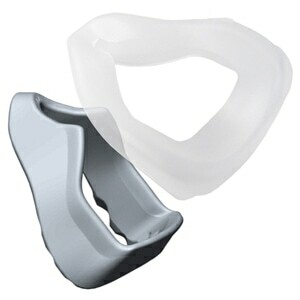 One uses a "bar" type retainer molded into the strap, the other uses two tips molded into the strap connector that must match up with the two holes in the receptacle on the mask end. The two are NOT compatible. The item arrived quickly and in the manufacturer's original packing. 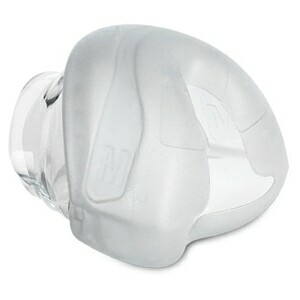 The headgear is as advertised and is the OEM product and not some third party item. Why is there a need for another adjustment?